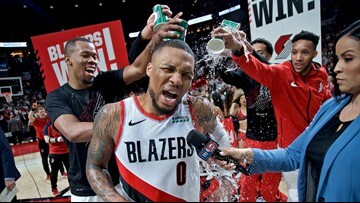 On this week's podcast, we share our reactions to Lillard's walk-off game-winner, talk about his unbelievable first-round performance against the Thunder, and look ahead to the second round. The game and the final shot is something many fans be replaying in their minds for years to come. 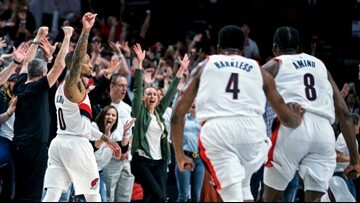 Fans were stunned by Damian Lillard’s game-winning shot. 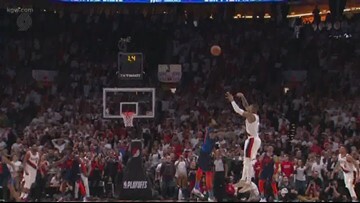 How hard is it to make a jump shot from 37 feet? 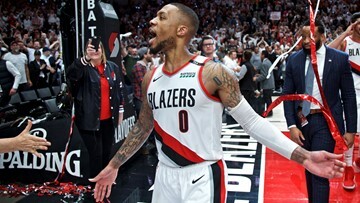 Rip City is riding high after the Blazers beat the Thunder. Damian Lillard had the last word against the OKC Thunder. 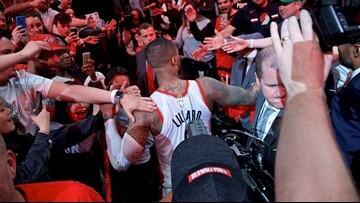 On Monday night, on the eve of Game 5, Lillard said this: "I’m going to get the last laugh. I promise you that." KGW sports anchor Orlando Sanchez recalls what it was like at the Moda Center when Damian Lilliard dropped a 37-foot shot to beat the Thunder. 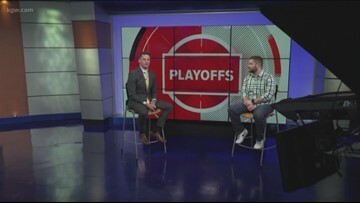 Blazers Ambassador Bill Schonely gears us up for Game 5 at the Moda Center.